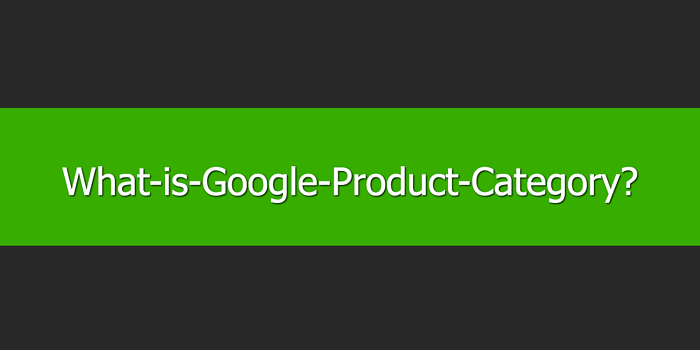 What is Google Product Category? The Google Product Category [google_product_category] attribute is used to categorize an item. This category is selected from the Google’s taxonomy. The full list of product categories can be found here. Placing products in product categories is designed to help potential customers navigate their way to your product. This makes it paramount that you select the correct category for your product. Otherwise, you may end up with customers struggling to find what they are looking for. For some item types, using a Google product category is required. These include items within Clothing & Accessories, Media & Software. Otherwise, using the product category data feed attribute is entirely optional. However, it is recommended. It will help Google identify your product and match it to a potential customer’s search. Having the most accurate descriptions and attributes for each item will also help to improve click-through-rate in campaigns. The more accurate your attributions, the more often you’ll be shown to the right searches. This improves both actual and expected CTR (click-through-rate). The following are the bare-minimum requirements that must be adhered to to ensure your product is approved and shows up for relevant searches. Use the closest matching Google product category. Sometimes you may find your items could fit under more than one category. In this situation, you will be better off using the closest matching category, as you cannot pick two. Make sure the category is as specific as possible. It can be tempting to attribute a more generic category to your products to save time. However, it is better to have your ads shown for the most relevant searches. Doing this will not only improve the customer journey, but is more likely to lead to sales. Also, this can boost campaign and account performance, which in turn makes it more likely Google will show your products. Use a Product Type [product_type] attribute when Google’s predefined categories do not match the product. Do not be tempted to use a product category that has not been generated by Google. Don’t use any categories published before August 2011. Use the most up to date categories. Where there are outdated categories, Google will automatically match the old category to what it believes to be the most up to date version of the category. This could lead to Google assigning categories that are not as relevant as another category. Categories before August 2011 will not be automatically swapped and will not work. Ensure that you check the requirements that apply to your country. There are different requirements for different countries. Getting these confused can result in your products being disapproved. Google Product Categories are essential for certain categories. Where it’s not required, it’s still recommended to use the product category attribute. It helps improve the relevancy of your product and helps to match this to a customer’s search.